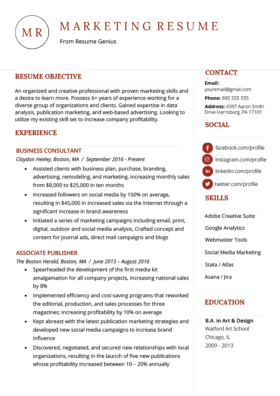 Need help writing a superb business analyst resume? Find your free downloadable sample resume and our expert writing tips below. 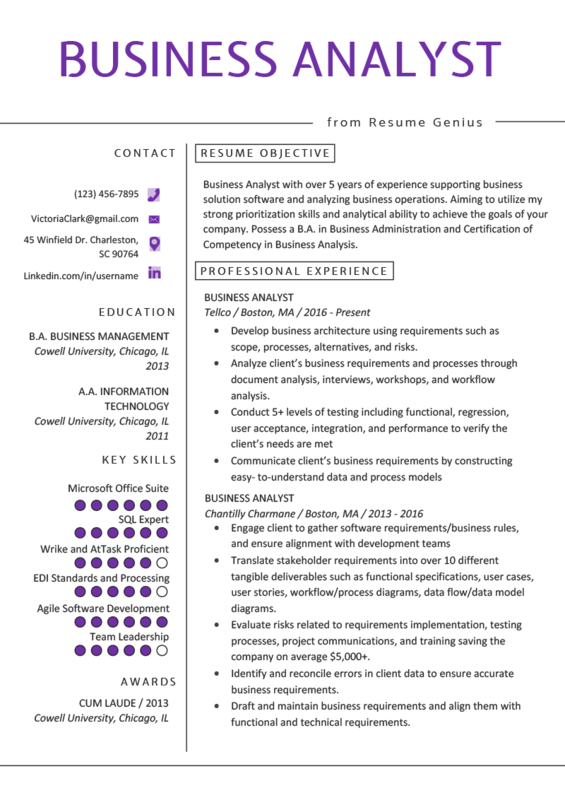 Business Analyst with over 5 years of experience supporting business solution software and analyzing business operations. Aiming to utilize my strong prioritization skills and analytical ability to achieve the goals of your company. Possess a B.A. in Business Administration and Certification of Competency in Business Analysis. Develop business architecture using requirements such as scope, processes, alternatives, and risks. Conduct 5+ levels of testing including functional, regression, user acceptance, integration and performance to verify the client’s needs are met. Communicate client’s business requirements by constructing easy-to-understand data and process models. Provide input into developing and modifying systems to meet client needs and develop business specifications to support these modifications. Liaise between business and technical personnel to ensure a mutual understanding of processes and applications. Translate stakeholder requirements into over 10 different tangible deliverables such as functional specifications, user cases, user stories, workflow/process diagrams, data flow/data model diagrams. Evaluate risks related to requirements implementation, testing processes, project communications, and training saving the company on average $5,000+. Identify and reconcile errors in client data to ensure accurate business requirements. Proficient in Microsoft Office (Word, Excel, Outlook, PowerPoint, Visio). Expert knowledge of SQL and relational database management systems. Skilled with Wrike and AtTask project management software. Experienced with EDI standards and processing. Familiar with Agile software development methodology. A career as a business analyst can be rewarding. The position allows for creativity and flexibility and the pay isn’t half bad either. The average monthly salary of a business analyst is over $5,000. Basically, the business analyst introduces and manages change in an organization. However there are several ways for analysts to do this, so when writing a business analyst resume, remember that business analysts come in all shapes and sizes with a plethora of responsibilities. Make sure to tailor your resume to the job you are applying for. Here are a few tips to consider when writing your business analyst resume. First impressions are key. Hiring managers are often on a tight schedule with dozens of applicants. Thus, they can’t devote too much time to a single resume. So it’s a good idea to begin your resume with some key points that will capture the attention of the hiring manager. When deciding what duties to add, use the job description as your guide. Don’t be afraid to reuse some of its key words, either! Start your Career Objective section by stating your years of experience in the industry and the main duties you performed. When deciding what duties to add, use the job description as your guide. For instance, if the job you are applying to emphasizes cost-benefit analysis, then add any applicable duties to your career objective. Next, you should showcase some outstanding qualities that can help the company. Hiring managers will be interested to know that our candidate has “strong prioritization skills and analytical ability.” These qualities should be proven in the Professional Experience section, or else the hiring manager might think you are just trying to pull the wool over their eyes. Last, close with your educational degrees and any certifications you may have that are pertinent to the job. For business analysts, a Certification of Competency in Business Analysis (CCBA) has become the industry standard. Listing this certification in your career objective would most certainly grab the hiring manager’s attention. Business analysis can encompass a variety of responsibilities that are specific to the field. Stating that you are a “Business Analyst” and listing general job duties is too vague. A hiring manager in the IT field may not know the responsibilities of a business analyst in the medical field. So, it’s vital to be as detailed as possible when writing your Professional Experience section. Let’s compare, which do you think a hiring manager would prefer? A. T ranslate stakeholder requirements into over 10 different tangible deliverables such as functional specifications, user cases, user stories, workflow/process diagrams, and data flow/data model diagrams. B. Translate stakeholder requirements into 10 documented deliverables. Evaluate risks related to requirements implementation, testing processes, project communications, and training, saving the company on average $5,000+. This provides the hiring manager some measurable data that reassures them that you can perform the required tasks. If you worked under a strict budget or timeline, do your resume justice and add specific figures. If you are lacking a lot of professional experience, then it is all the more critical that you write a flawless education Section. 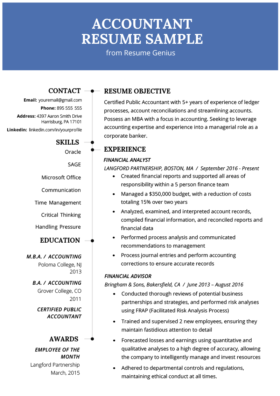 For a business analyst resume, the Additional Skills section receives substantial emphasis. This is a great place to show off all of your technical expertise. Hiring managers are looking for a great deal of technical knowledge in a business analyst, so the Additional Skills section should showcase your experience with different programs and applications. For a business analyst resume, the Additional Skills section receives substantial emphasis. Breaking down data into easy-to-grasp diagrams is also a business analyst’s responsibility, so business analysts should know how to use diagramming and graphics applications. 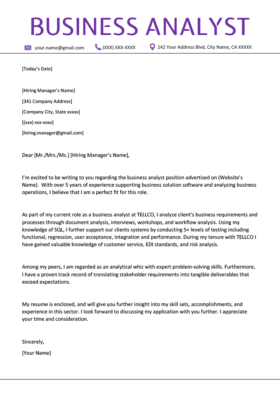 For example, the applicant mentions his Microsoft Visio skill, a skill that is highly desired by hiring managers. Do you think you’re ready to construct the perfect resume yet? Use our free resume template packs and save time formatting, or create your resume in minutes with our resume generator. Or if you have any questions, check out our Frequently Asked Questions page for more information! These are great pointers. I agree with point number 6 wholeheartedly. There is no way that you won’t get caught out if you add false information regarding work history or education. Your experience level will give you away as soon as they ask a couple of pertinent questions. We agree entirely! Thanks for sharing your thoughts.